Part of a new line from Gorilla, this cool swing set has everything kids need to play along with an attractive decorative look that parents will love. 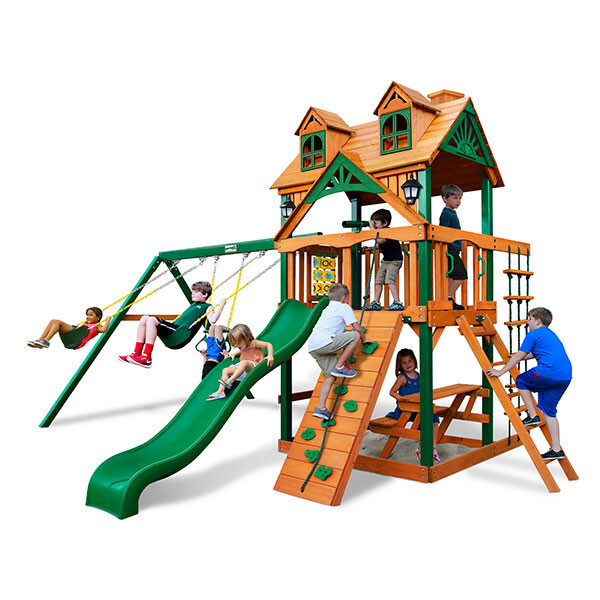 The Gorilla Playsets Malibu is built around a 5’ high play platform with Timber Shield coated posts at its corners. 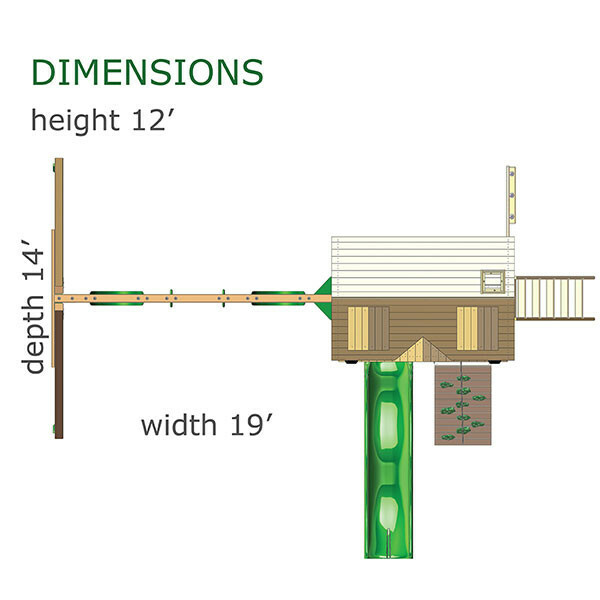 The 4 foot by 6 foot platform can be accessed using the rock wall and climbing rope or the safe entry ladder. The wave slide makes getting back to the ground a blast. 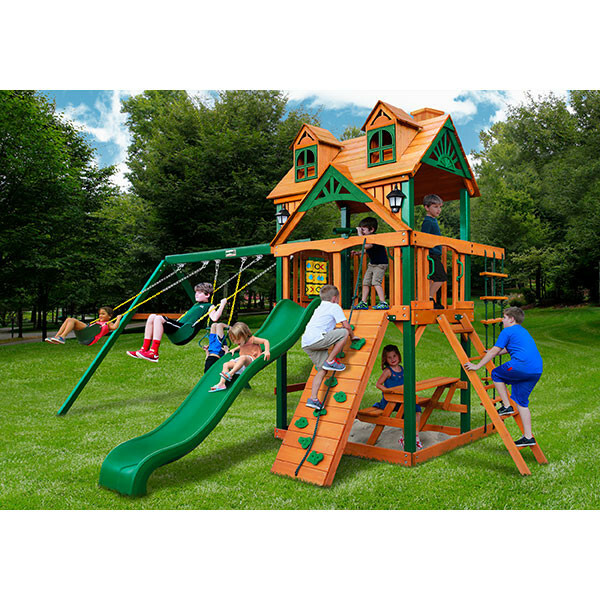 Other features on this must-have set include a climbing rope ladder, a built-in picnic table, and an area for a sandbox. The swing beam includes 3 spots for a trapeze swing and two belt swings. Kids will love getting adventurous with the included telescope, steering wheel, and tic-tac-toe panel. The green decorative sunburst designs on the wood roof, along with the decorative windows in the dormers and solar wall lights make this set one of a kind. 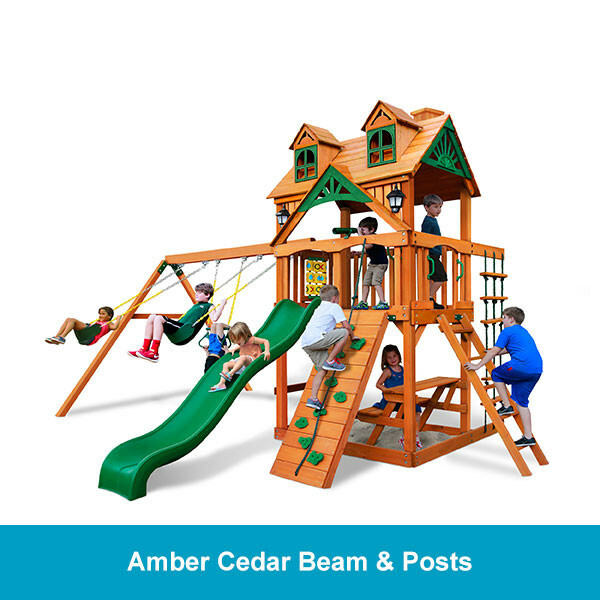 Just like all of Gorilla’s high-quality playsets, the Malibu is constructed of all cedar wood and all of the parts come pre-cut, pre-sanded, and pre-stained. Main beams and posts are all pre-drilled for ease of assembly and the 3D illustrated instruction manual makes do-it-yourself construction a breeze.